And nobody eats the pig, goat, rooster, rabbit, horse or ox? 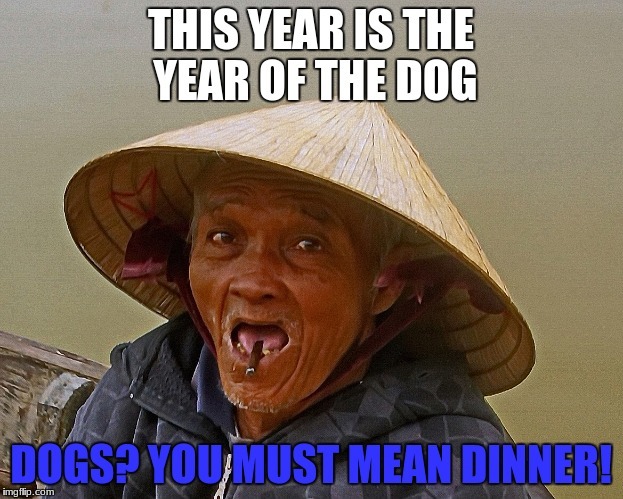 THIS YEAR IS THE YEAR OF THE DOG; DOGS? YOU MUST MEAN DINNER!